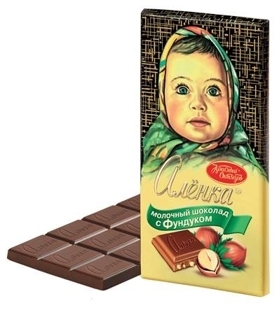 Chocolate Bar Alenka aerated milk chocolate 95g - Russian Food Online Shop "Babushka"
In 1964, the Soviet confectioners at the Moscow factory "Red October" developed a recipe for chocolate with a characteristic creamy taste. 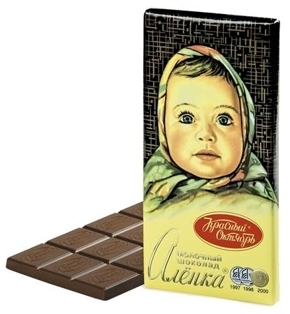 A real porous soft chocolate, melting in the mouth is the favorite sweetness of both adults and children. 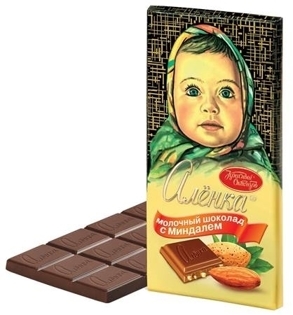 Porous milk chocolate "Alenka" - the charm of taste. Air bubbles make chocolate especially delicate, reveal all the facets of creamy shades, tickle the tongue and cheer up. For the cheerful nature, watching the figure, because thanks to the bubbles the usual chocolate weighs as much as 5 grams less than usual!